The long dark days of summer are finally over and that is confirmed this weekend as the winter jumps season sparks into life with a couple of terrific fixtures in the UK. Jump racing fans, punters, trainers and jockeys have been itching to get going over the past few weeks and they will finally be let off the leash at Newton Abbot on Friday and then at Chepstow over the weekend. This Friday at Newton Abbot will be their final card of the year and what a way to go out as they host a cracking day of sport for which they should be greatly applauded. The Devon track will be packed with punters hoping to witness some top class animals and the declarations are highly impressive for a traditionally small summer racing track. A number of the big trainers will be represented at Newton Abbott with Paul Nicholls, Nicky Henderson, Jonjo O'Neill and Philip Hobbs all having very decent runners engaged. The big race of the afternoon will be the 2m4f Intermediate Chase with Cheltenham Festival winner Irish Cavalier (Rebecca Curtis) joined by classy sorts like Henryville (Harry Fry), Cloud Creeper (Philip Hobbs), and Art Mauresque (Paul Nicholls) in what could be a very informative race with the rest of the season in mind. There is also a 2m Novice Chase on the card that could be headlined by the improving Dormello Mo for Paul Nicholls and he is one that has been running and winning at Newton Abbot all summer long. The Champion Trainer will also be represented in the 2m2f Novice Hurdle at Newton Abbot with Simon Squirrel set to be well fancied taking on Kilkishen who is coming over from Ireland for JJ Hanlon. The action moves to Chepstow on Saturday as they host their new two day Jumps Festival with many suggesting that this meeting is the real start of the season. Like Newton Abbot, we will see all of the big yards represented with some cracking horses to follow on both days of the meeting. The 2m3f Novices' chase on Saturday has been won by the likes of Cue Card, Fingal Bay and Balder Succes in recent years which highlights how important this race can be each year. Possible entrants for Saturday at this stage include Blaklion, who was a Grade 2 winner over hurdles last season, and Calipto who was 4th in a Triumph Hurdle back in 2014 for Paul Nicholls and could make his chase debut. 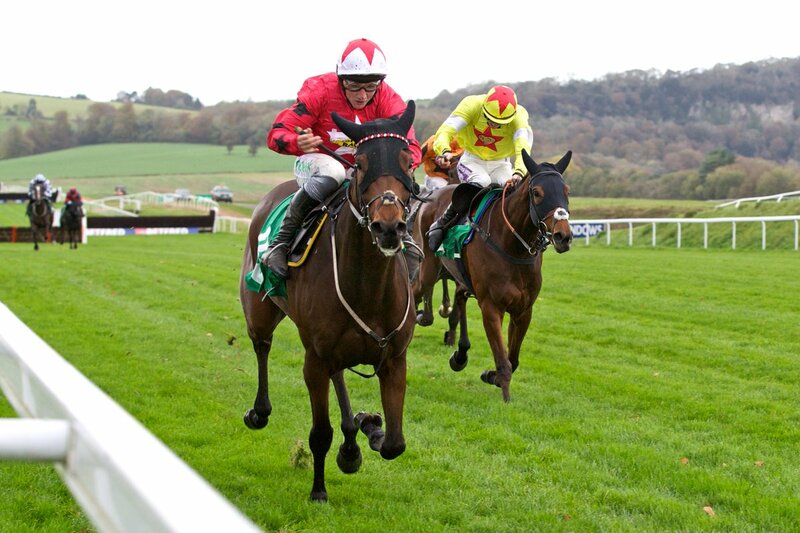 Other races to look forward to at Chepstow this weekend includes the Silver Trophy Handicap Hurdle which is always a competitive contest at Grade 3 level on Saturday, while Sunday is perhaps looking just as good at the Welsh track. Ante post RSA Chase contender Beast Of Burden could run in the 2m7f Novices' Chase for Rebecca Curtis on day two while the Grade 2 Persian War Novices' Hurdle is nearly always a decent race over 2m3f. Potential runners in the Persian War include Emerging Talent who remains a nice prospect for Paul Nicholls and Altior who could take his chance for Nicky Henderson. It should be noted that recent winners of the Persian War Novices' Hurdle include Reve De Sivola, Silviniaco Conti and Fingal Bay which is a stellar roll of honour and shows us just how important a race it can be despite its early setting in the winter.